The obsession with iPhone sales numbers is now a thing of the past. Probably. Apple shocked Wall Street yesterday when it revealed that it will no longer share information about how many iPhones sell each quarter. Instead, the company will provide the average sale price, which Cupertino claims is a far more useful figure to investors. It’s a big change in strategy from a company that used to make a point of crowing about its landmark sales figures. But, while this move might disappoint some fans, it’s totally the right call. Here’s why. For years, Apple encouraged this kind of numbers obsession. Apple frequently put out press releases celebrating major download milestones on iTunes or in the App Store. 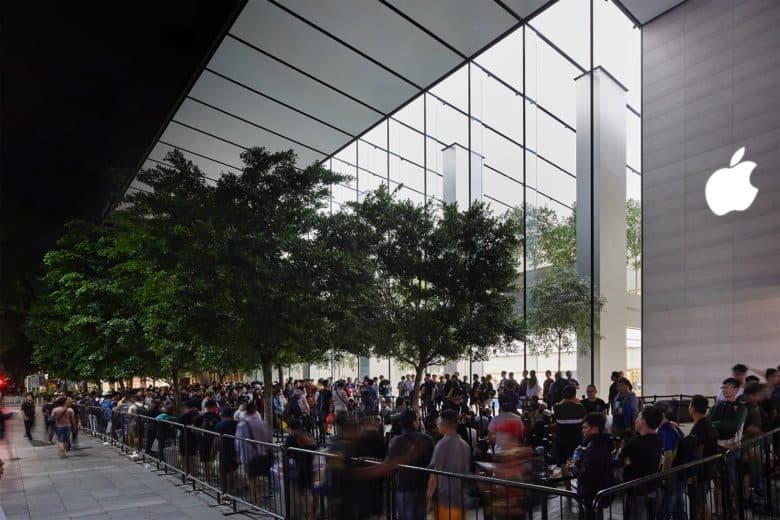 It actively encouraged fans to queue for iPhones on opening night. It breathlessly reported opening-weekend sales the way Hollywood hypes blockbuster movies. And why wouldn’t it? For the longest time, iPhone sales just went up and up. In 2010, first-weekend iPhone sales hit 1.7 million. In 2011, they more than doubled to 4 million. Then they crept up again in 2012 (to 5 million). In 2013, they almost doubled to 9 million. And so on and so forth, until 2015’s epic 13 million iPhone 6s and 6s Plus sales. For Apple, reporting these sales — and related metrics like the crazy-long queues on opening night — confirmed its successful turnaround. As Apple moved from being a near-casualty in the 1990s to a powerhouse in the 2000s, its ever-increasing popularity felt organic. Fans like us played a big part in turning things around. Revealing just how many iPhones sold in the latest launch was a way of acknowledging this. But Apple’s strategy also fed into a larger cultural obsession with this kind of record-keeping. Stats have always been something that sport fans followed, but obsessing over number-crunching has entered into seemingly every type of fandom. These days, websites like Box Office Mojo allow movie fans to get all the “inside baseball” about the money movies rake in each weekend. In music, artists like 50 Cent provoked fans — to quote the rapper Joe Budden — to “start looking at the numbers. Fans apply similar scrutiny to TV ratings, action figure sales, video game units, and so on. Scouring spreadsheets for these details is now an official pastime in a way that it never was even a few decades ago. That’s not a bad thing, necessarily — even if some rightly question why people who don’t stand to make money from products care quite so much about it. For Apple, however, the obsession with numbers always has been a double-edged sword. Yes, iPhone sales grew phenomenally year on year, but just selling big numbers was never Cupertino’s game. Apple is a premium company at heart. Like any premium company, it’s concerned far more about margins than volume. Inevitably, companies copied devices like the iPhone and sold more by slashing margins to the bone. That’s exactly what happened, but Apple still makes the overwhelming profit in the smartphone industry. The real number that Apple cares about is how much each of its products sells for. That’s exactly why it’s now reporting average sales price (which companies like Samsung already do). There simply aren’t enough new customers without smartphones to double the launch-weekend iPhone sales figures each year. Instead, Apple’s ratcheting up the price, shoring up its position in a slowing market. The company never shared Apple Watch sales, either. The reason? Because — despite being extremely healthy — the “tiny” number of Apple Watch sales relative to the iPhone would cause some pundits to label the smartwatch a flop. Apple Music is second only to Spotify. However, Apple doesn’t crow about the music service’s subscriber numbers like it once did about iTunes downloads. Is this disappointing for fans? In some ways, sure. Similar to the fact that Apple’s share price is no longer solely based on one product, or the way it doesn’t take so many shots at rival companies in its advertising, it moves Apple one step further from the scrappy upstart we watched claw its way to the top over the last decade. It’s certainly not a sign that the iPhone party is over, either. It’s simply a recognition of the way the smartphone arena, and the broader tech landscape, is changing. Ultimately, Apple stands in the luxurious position of being able to focus on the long-term picture, rather than needing to appease investors by touting short-term milestones. Efforts to top last quarter’s iPhone numbers, in units alone, prove damaging. If you’re a fan who wants Apple to thrive in the long run, you’ve got to concede that this is totally the right move.